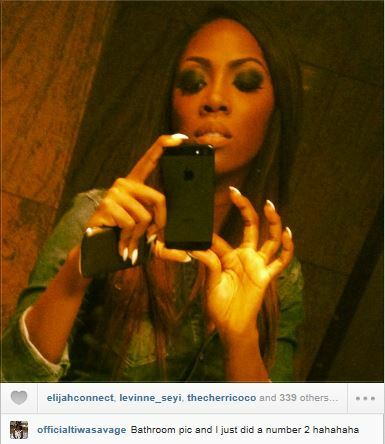 Tiwa Savage recently a photo of herself she took when she was in the bathroom..
…and xo what ix da news bouts? dat she used a bathroom i guess??? i guess if she snores while sleeping yhu would be compelled to show us the clip too. Please share important news and updates and not just all lousy updates. Blaaah!